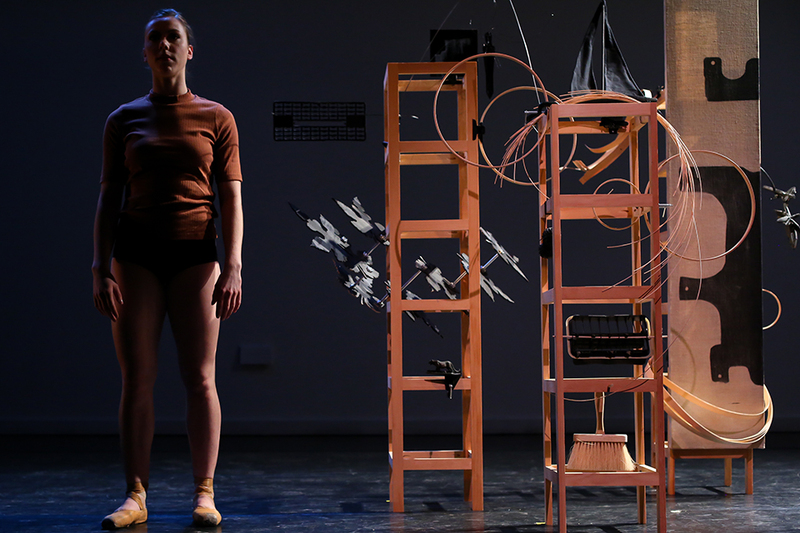 Choreography by konverjdans performing in collaboration with artist Nancy Baker and musician Max Kanowitz. Courtesy Norte Maar | Photo: Sergio Carrasco. 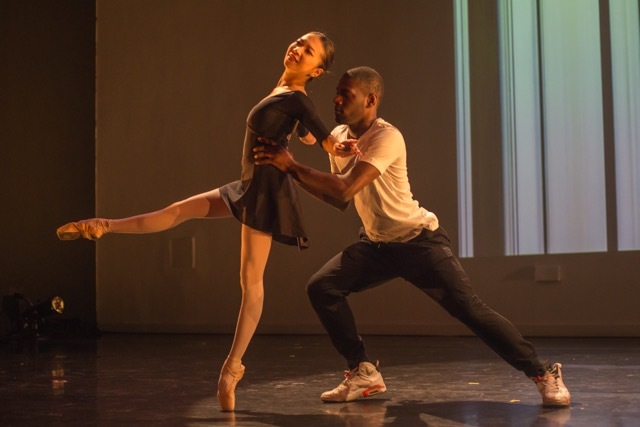 Contributed by Sharon Butler / CounterPointe, an inspired dance project organized by Jason Andrew and Julia Gleich of Norte Maar, unfurled last weekend at the Actors Fund Arts Center in downtown Brooklyn. 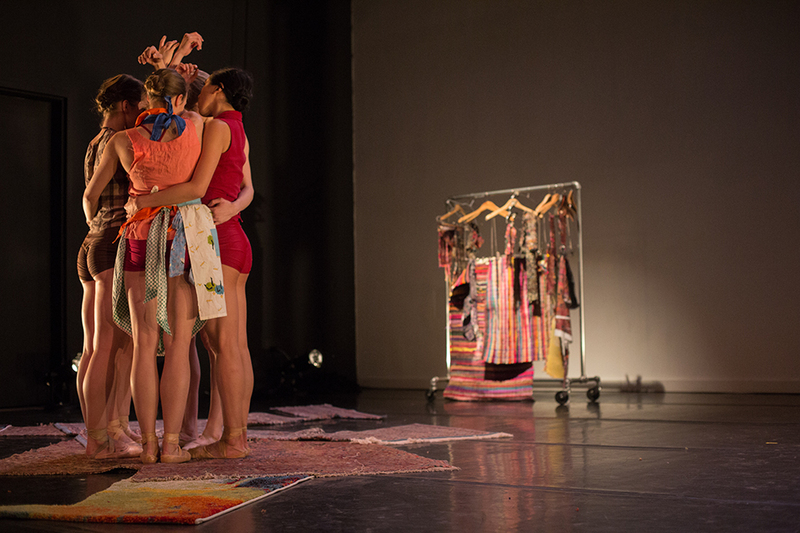 In its fifth year, the project comprised a series of dances created collaboratively by female visual artists and choreographers. The artists and audience had the revelatory experience of seeing artwork in a new context: transported from the well-delineated walls of the white cube to the deep space of the black box. Choreography by Margaret Wiss (Wiss & Co.) performing in collaboration with artist Noël Hennelly. Courtesy Norte Maar | Photo: Sergio Carrasco. As usual, the popular event sold out this year. The theater at the Actors Fund Arts Center is intimate, and, like other black box theaters, the seats and the stage share the floor for maximum audience-player interaction. The stepped seat risers were arranged on one side of the room, and there wasn’t a bad seat in the house. The audience included a chatty, cross-pollinating crowd of visual artists and members of the dance community. Choreography by Brandi Marsh performed in collaboration with artist Emily Noelle Lambert. Choreography by Lynn Parkerson (Brooklyn Ballet) performing in collaboration with artist Cornelia Thomsen. 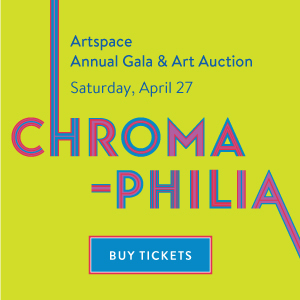 After the organizers’ opening remarks, the spotlights revealed Emily Noelle Lambert’s abstract painting, hanging from the scaffolding in the ceiling to the stage, full of brightly colored shapes and snaking lines, and, next to it, two wooden sculptures shaped like chairs. Two dancers, a powerful man and a lithe woman who corresponded to the chairs, performed “Freedom,” created by choreographer Brandi Marsh, with consummate skill, heart, and panache, imparting love and struggle in equal measure. 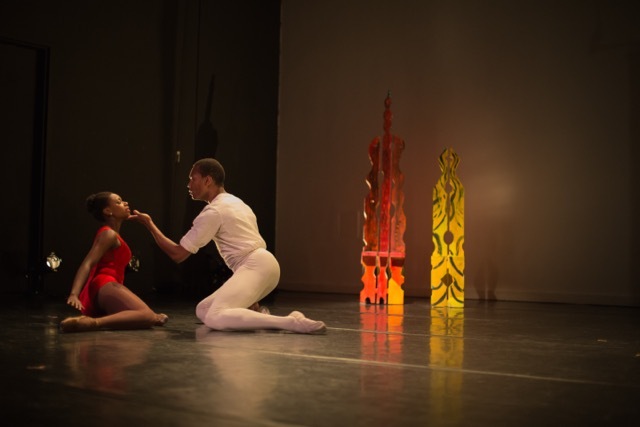 The artwork presented in CounterPointe, of course, didn’t merely serve as the backdrop for the dances; it also informed the choreography in terms of both content and visual form. For instance, in “things/unthings,” artist Noël Hennelly created three body-sized, shelf-like sculptural objects, full of strips of wood, knickknacks, tools, and toys. The program was cleverly, and very elegantly, allusive. Choreographer Margaret Wiss used the dancers’ bodies and simple brown costumes to echo the structure and form of the objects, then brought them to life in a way that suggested a Minimalist version of the Nutcracker. 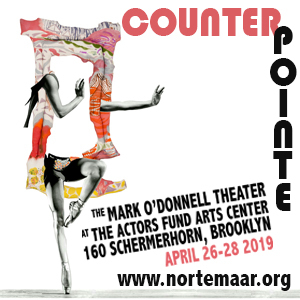 Artists Cornelia Thomsen, Nancy Baker, Lizzie Scott, Leslie Kerby, and Elana Herzog (who, we learned earlier in the day, had just won a Guggenheim Fellowship) also participated in CounterPointe. 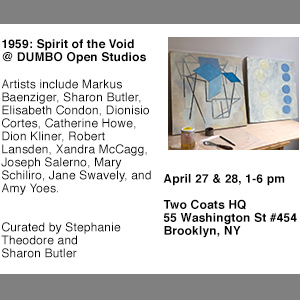 The collaboration seemed to take Kerby – who is known for making small-scale prints, drawings, and book projects – boldly outside her usual orbit. In “The World Contained II,” created with choreographer Eryn Renee Young, Kerby presented a huge animated version of one of her container drawings. It seems likely that seeing her piece on the stage, driving a dance that was at once so dramatic and playful, will induce her to make more animations and project them at this scale. 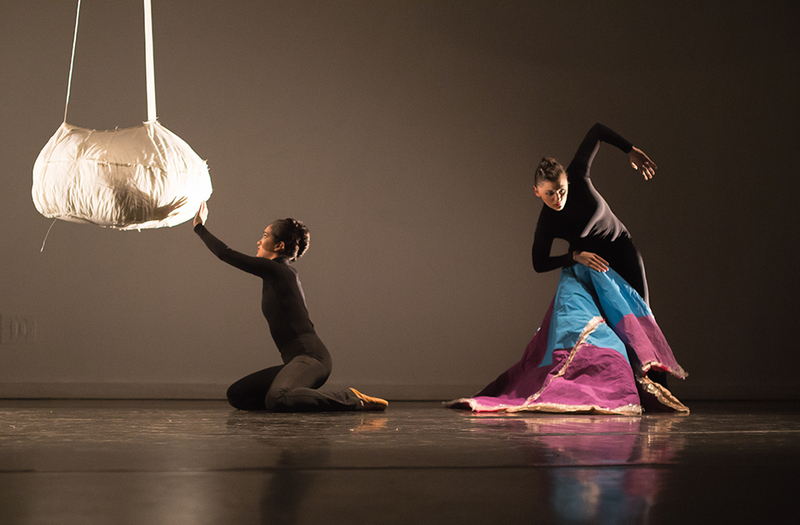 Choreography by Ursula Verduzco (Benjamin Briones Ballet) performing in collaboration with artist Lizzie Scott. Courtesy Norte Maar | Photo: Sergio Carrasco. Choreography by Eryn Renne Young (XAOC Contemporary Ballet) performing in collaboration with artist Leslie Kerby. Courtesy Norte Maar | Photo: Sergio Carrasco. Choreography by Julia K. Gleich (Gleich Dances) performing in collaboration with artist Elana Herzog. Courtesy Norte Maar | Photo: Sergio Carrasco. The closing dance, which featured excerpts from a longer piece called “Martha (The Searchers),” was perhaps the most articulated of the programs, witty and compelling. 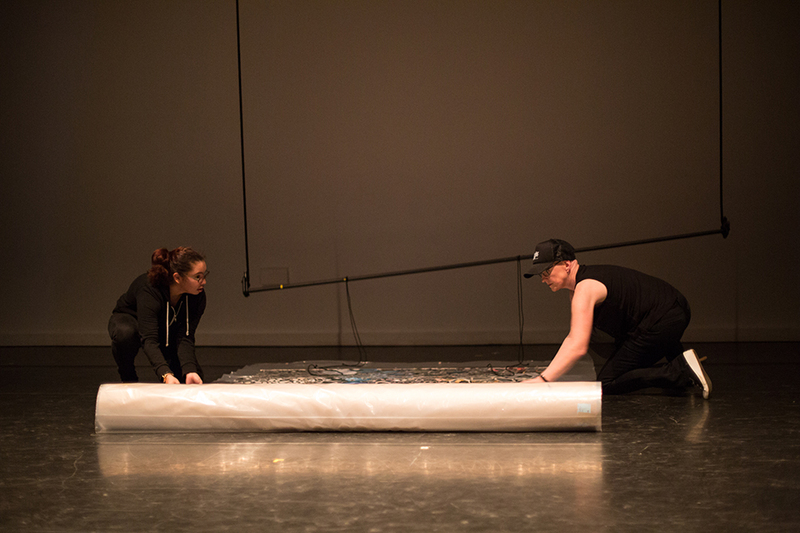 A collaboration between Herzog and CounterPointe organizer Julia Gleich, the dance featured Herzog’s signature material: torn carpets and fabrics. Bits and pieces of rugs were laid out carefully on the floor, and two rolling clothing racks full of fabric samples that looked as though they were imported from around the world were also involved. The dancers, paired off in couples, wore layers of loose colorful clothing, and a mix-tape of country western songs conjured images of American love, loss, and domesticity. At the end, taking a star turn, Herzog entered stage left wielding a whirring orange handheld vacuum cleaner, and, seemingly oblivious to the dancers around her, began cleaning the damaged carpets. It was as if the dancers were simply ghosts—the layers of history and repetition we sense but don’t see. Final scene: Elana Herzog vacuuming the carpet fragments. Choreography by Julia K. Gleich (Gleich Dances) performing in collaboration with artist Elana Herzog. Courtesy Norte Maar | Photo: Sergio Carrasco. Art handlers performing in between dances. Even the preparation between each of the six collaborations was a resonant performance. A group of art handlers, dressed in the discreet black attire (along with Cypress Hills ball caps) of the typical stage hand, came out onto the dance floor, carefully rolled up the artwork, and deftly hung new work for the next performance. They lent the unstinting sense of community, generosity, and self-perpetuation that marks so many Gleich and Andrew’s Norte Maar productions. I’m already looking forward to next year’s iteration. CounterPointe5, organized by Julia Gleich and Jason Andrew, Norte Maar, April 7-9, 2017. 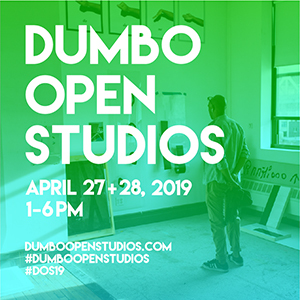 Featuring new collaborative works by: konverjdans with artist Nancy Baker, Julia K. Gleich with artist Elana Herzog, Brandi Marsh with artist Emily Noelle Lambert, Lynn Parkerson with artist Cornelia Thomsen, Ursula Verduzco with artist Lizzie Scott, Margaret Wiss with artist Noël Hennelly, Eryn Renee Young and artist Leslie Kerby.